Looking for an easier way to park your car? 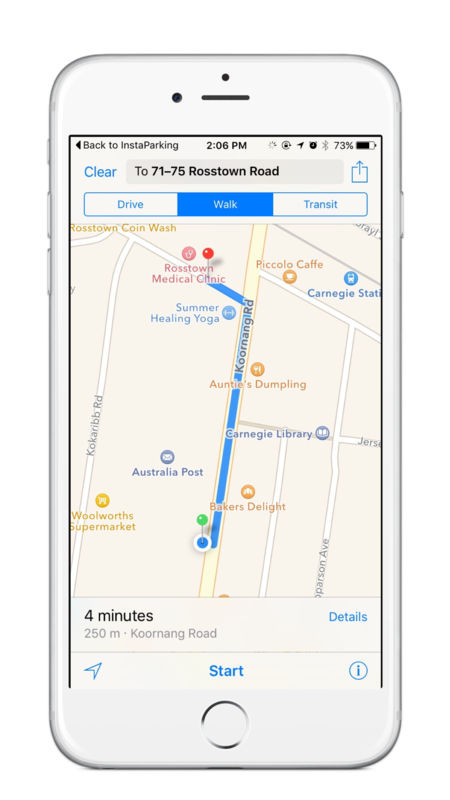 We've combined the usefulness of your phone's GPS, powered by Apple's brilliant maps database, to bring you the best car park tracking experience. 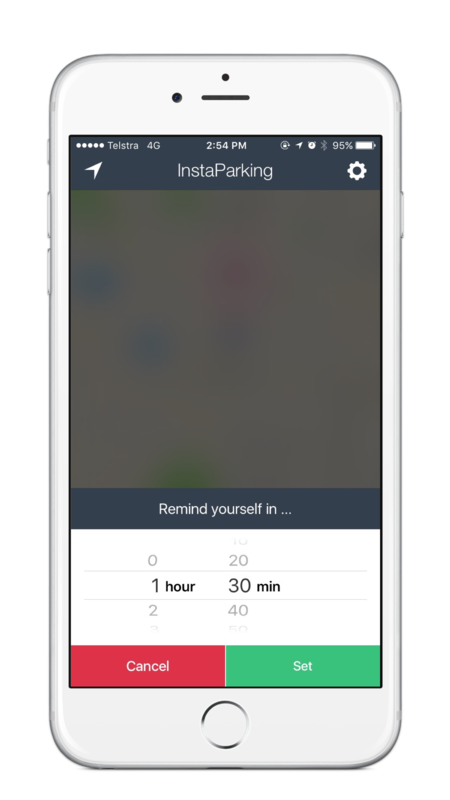 Simply tap once to remember your car's location, and tap again to navigate back to it. You can also set a timed reminder, take a photo and share your parked location. You'll love its simple design and attractive interface, and we're sure InstaParking will bring a smile to your face every time you use it. 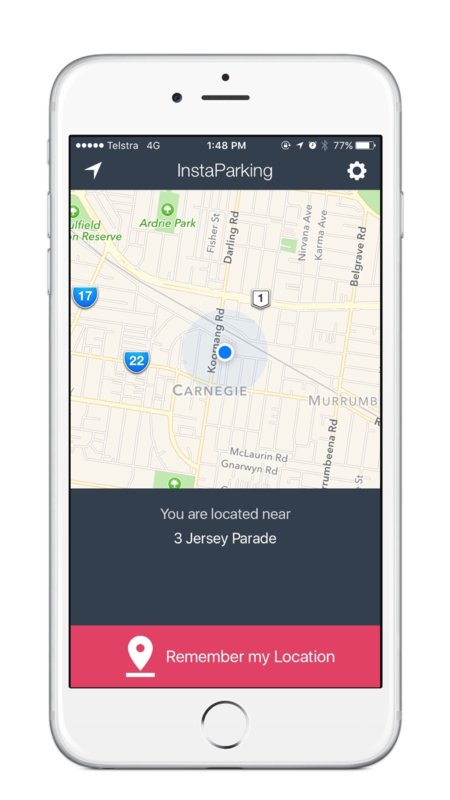 InstaParking supports by iPhone 4s / 5 / 5s / 6 / 6s and Plus devices. It works best with the latest iOS operating system. Oh, and did we mention it's completely FREE? Avoid parking fines. We want you to save your hard-earned money! This app has been a blessing for our family, especially for my wife.. She's no longer anxious about driving to unfamiliar places. Whenever she has a problem finding the car, she can share the location with me from within the app. Hear hear, let's give these developers a medal for creating such a brilliant app. I'd happily pay to use an app of this calibre. Seriously we should all donate to support these guys! @AnglesonianTog try emailing us at hi@monoapps.com.au cheers! @AnglesonianTog hi nice to hear from you, the app is currently under review, how did you hear about it? @ayqooi testing are you getting character limit with the android Twitter app? @Esti_Wojtek Hey we recently order an estimote dev kit, would like to discuss leveraging the platform for upcoming projects! Thanks mate! Send us your shout out below. If you require technical assistance, please go to Settings > "Send us your ideas for improvement" within the app. Thanks and we look forward to hearing from y'all! Made with heart in Melbourne. Created by Mono Apps. Part of the Digital Innovations Group.